Loved Palace of the Popes and had a lovely lunch. Loved Palace of the Popes and had a lovely lunch. Would like to return. Excellent, knowledgeable guide, comfortable coach and lovely destination. Excellent, knowledgeable guide, comfortable coach and lovely destination. Overall we enjoyed this thoroughly. Great historical sites but again, lots of walking. Fascinating city - the Popes Palace is certainly worth a visit. Fascinating city - the Popes Palace is certainly worth a visit. Although Avignon is about 1.5 hours from Marseille, its worth the trip. Loved it - not only was the Pope&apos;s Palace worth the trip, the local shops were fantastic, soaps and fragrances, herbs and spices, and great food and wine. Nice tour. 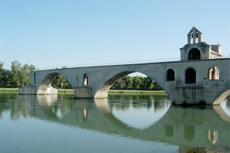 Visited the Roman aqueduct, the Pope&apos;s Place and walked around Avignon. Beautiful day. The first part of the drive from Marseilles isn&apos;t too scenic, but closer to Avignon became lovely. This was a great walking tour but the guide was not considerate of the slower moving people. Late back to ship. 2 hour free time in avignon too long. Would have liked to have seen more of marseille. Pont du gard also visited, worth seeing. Pont du gard also visited, worth seeing. Avignon, nice town not too much to do there. Avignon was lovely. would love to spend more time here. loveley walled in city. Shore excursion did not have proper description and was disappointed unable to go into Papal Palace. Palace of the popes and a market experience that were both wonderful. Palace of the popes and a market experience that were both wonderful. Get stuff at the market!! Just walked around Avignon, it was a cool old city. Loved the excursion and sites, including the second papacy. Loved the excursion and sites, including the second papacy. Had time to browse street vendors, and purchased a piece of artwork.